A diagram of the knee, showing the anterior cruciate ligament. An anterior cruciate ligament injury should be rested, iced, and elevated in the short term. 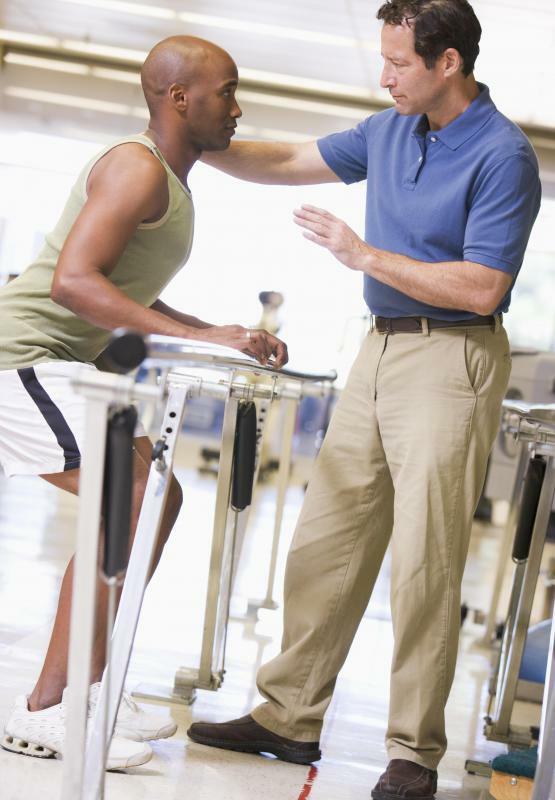 A physiotherapist can help athletes prevent certain sports-related inuries. 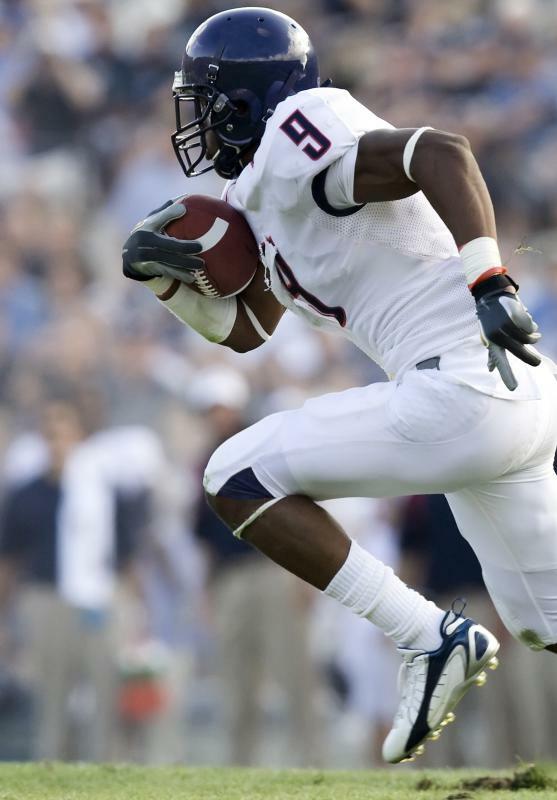 Sports like football can put added stress on the knee, which may result in an ACL injury. After surgery to repair an ACL, the patient will be on crutches. Soccer players may suffer ACL injuries, as the sport is particularly taxing on the knees. The ACL is the most commonly injured ligament in the knee. Damage to the anterior cruciate ligament (ACL) can occur when the knee suffers a sudden, direct blow. An anterior cruciate ligament injury is the hyperextension or tear of a ligament in the middle knee. 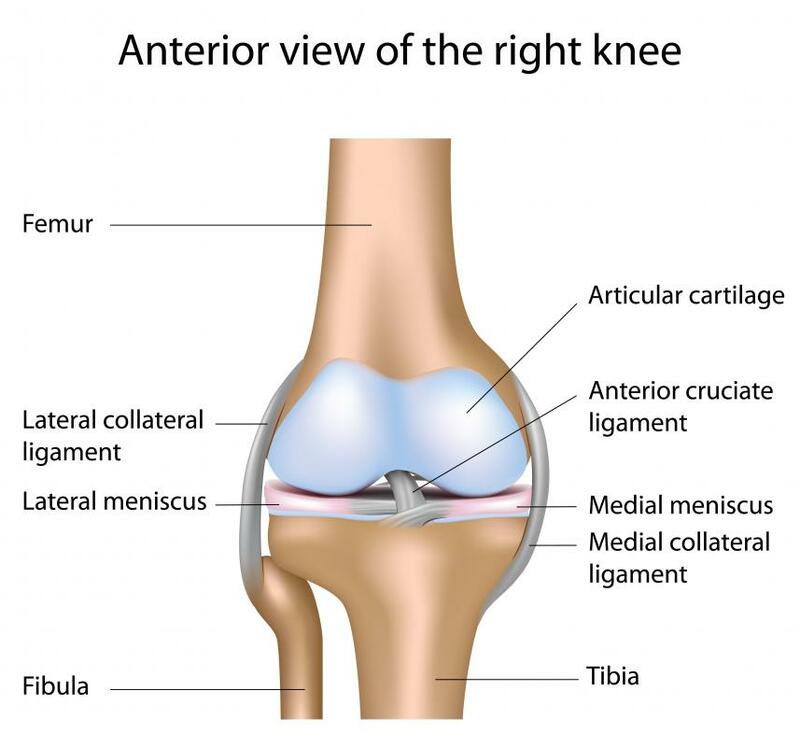 The anterior cruciate ligament is a major band of tissue that connects the thigh bone with the shin bone. When the anterior cruciate ligament is torn either completely or partially, it prevents the knee from stabilizing. More common in adults, especially women, an anterior cruciate ligament injury is most likely to occur when playing a sport that is taxing on the knee, such as football, soccer, or basketball. The ligament can become damaged when the knee is wrenched while the foot is planted on the ground. A direct hit to the knee or a sudden shift of weight can also trigger damage to the ligament. A person who damages his anterior cruciate ligament will often hear a popping noise, which will be followed by intense pain in the knee shortly after the injury. The knee will usually swell and movement will be limited. Getting the leg to straighten out will be difficult, if not impossible, and the knee will be very tender. An anterior cruciate ligament injury may be diagnosed by a doctor or athletic trainer. The medical profession will examine the area for swelling or wobbliness. An MRI, X-ray, or blood test can confirm if the ligament is damaged. When an anterior cruciate ligament injury occurs, treatment is needed. 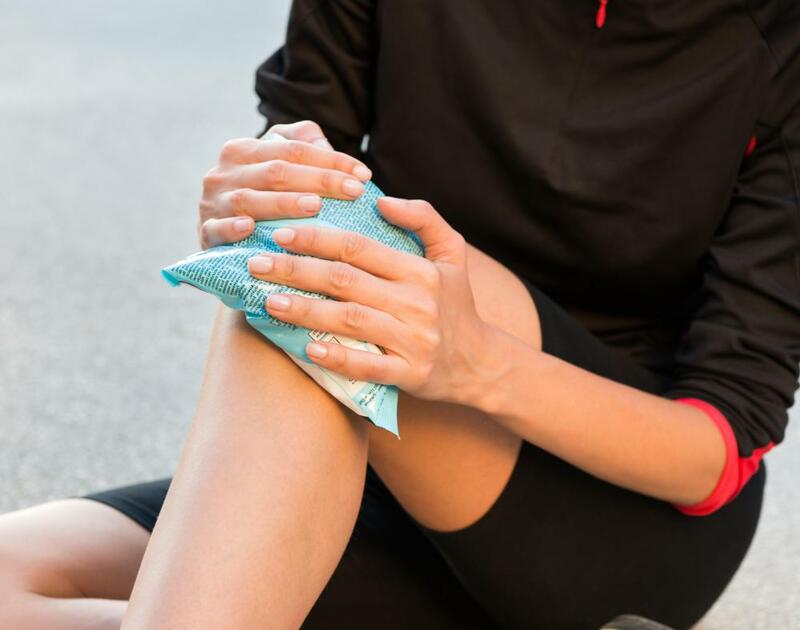 In the short-term, an individual should ice his knee and keep his leg propped up. Anti-inflammatory medicine will help alleviate pain temporarily. More than likely, a torn ligament will require surgery. Without surgery, an individual's knee will continue to buckle. If no action is taken, arthritis may develop in knees with ligament damage down the road. Surgery depends on a person's age, career, and general medical condition. Children may not require surgery for ligament damage if the ligament tears with a bone still connected to it. When this occurs, it is possible for the child's body to mend itself. A surgical technique to repair an anterior cruciate ligament injury includes using a graft. Ligaments or tendons from other parts of the body are used to replace the torn knee ligament. The graft is held in place using staples or screws. The procedure allows the damaged knee to become stabilized, which will preclude any more injury to the knee. After the reconstructive surgery, weeks of rehabilitation is needed. 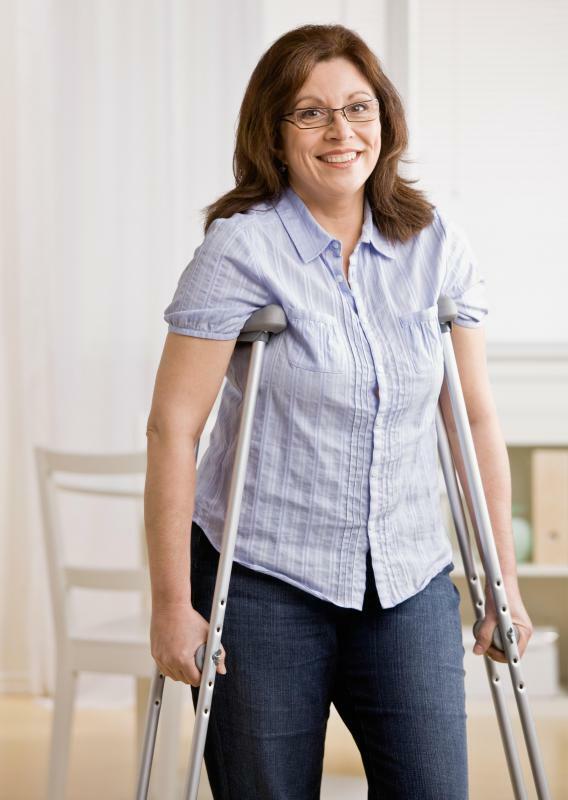 After surgery, an individual will be on crutches. To regain a complete range of motion of the knee, an individual will be required to engage in mobility exercises. Rehabilitation often includes squats, walking, and leg presses. How do You Treat a Partial Anterior Cruciate Ligament Tear? What are the Symptoms of a Torn Knee Ligament? What are the Different Types of Ligament Damage?